It is important for patients to understand what to expect with nasal surgery. Dr. Kridel answers several common questions that relate to nasal surgery --- both Rhinoplasty (also known as a Nose Job) and Septoplasty. Nasal surgery, usually lasts about two hours in an outpatient surgical facility. If it is a more complicated Rhinoplasty or Revision Rhinoplasty surgery, it will take additional time. What do I feel like right after surgery? You will likely wake up a bit groggy from having been under light anesthesia. There's a small external splint on your nose and a small dressing inside your nose. Your nose feels stuffy, and slightly bloody mucous drainage may seep into the dressing applied below your nose. You may also experience swelling and bruising around your eyes. Will it hurt after surgery? Few patients are bothered by pain related to this surgery. Actually, most people who have nose surgery describe any pain associated with rhinoplasty as "mild." You can take mild medication that is prescribed by Dr. Kridel after surgery to handle any discomfort. However, it is important to avoid aspirin products and other medications that tend to increase bleeding. What do I do after I go home from surgery? After you go home, you should rest with your head elevated. Dr. Kridel may also suggest that you use a cold compress to minimize swelling. When do I get the dressings off? You will visit the office the day after surgery and the physicians will look at your nose and remove any light packing and change the dressing. Most people can return to work or school a week after surgery, but you must wait several weeks before resuming significant exercise. Air travel is allowed a week after having nose surgery. 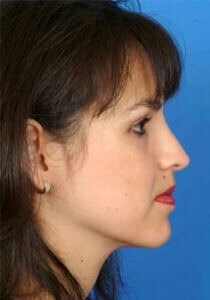 If you had Rhinoplasty or Revision Rhinoplasty surgery, by the time you return to work or school, your nose will look really good. It will continue to improve over the months to come, and you will see your final result "settle in" after about a year. 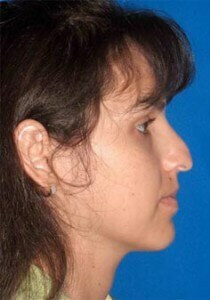 With Septoplasty surgery, it is functional nasal surgery and there is not a cosmetic improvement component. Dr. Kridel is passionate about providing the highest standards of care, including follow-up care. You will be visiting Dr. Kridel numerous times after you have the surgery and he follows patients for years. He has written dozens of medical journal articles about the longevity of the results of his surgical techniques.